The first of two volumes documenting the latest findings on forest biodiversity, this book presents original, new contributions by some three hundred scientists from over forty countries. Researchers from the massive Smithsonian/MAB Biological Diversity Program cover the feasibility of using long-term inventory plots as a framework for monitoring multi-layer vegetation, socioeconomic applications of research results, and promotion of multidisciplinary research and training. 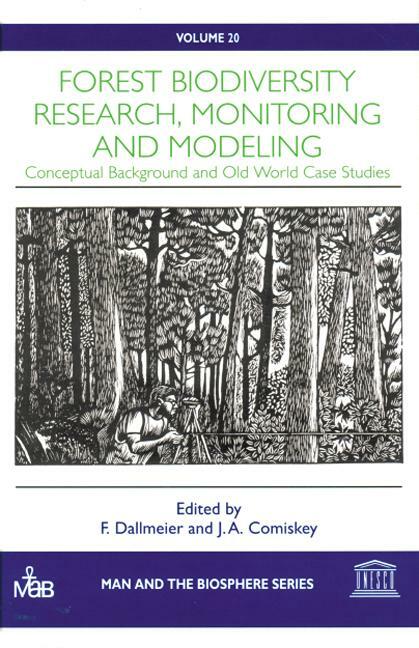 The book is in five main sections covering first the methodology for forest monitoring and modeling and then the results of research from Europe, Africa, Australia, and Asia/Pacific. "The publication of this book is timely in that it adds substantially to the existing knowledge on biodiversity and addresses important subject areas that require additional research…"
Preface. Acknowledgements. Contributors. Section I: Foret monitoring framework. Section II: Monitoring and modeling forest biodiversity. Section III: Europe. Section IV: Africa and Australia. Section V: Asia/Pacific. Conclusion. Index.